Whether creating a blog article, a social media post, or an email, most of us type all over the Internet. Spelling errors and even grammatical mistakes 9 Websites That Solve Dumb English Grammar Mistakes Instantly 9 Websites That Solve Dumb English Grammar Mistakes Instantly We all make grammar mistakes every now and then. The Internet comes to the rescue. Here are some websites that can help you avoid the grammar police. Read More can cause miscommunication and at times embarrassment. 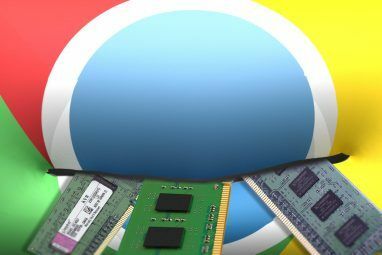 If you are a Chrome user, there are a few handy tools Google Gold: 15 Essential Chrome Extensions Google Gold: 15 Essential Chrome Extensions The standard Chrome experience can be made so much better with a handful of extensions. Read More that can save you from awkward situations and help you to get your message across more clearly. Grammarly is an all-encompassing tool for both spelling and grammar. Mistakes are pointed out with an underline and you simply hover over the error found to see suggestions. There is also an indicator showing how many mistakes were found with the ability to fix them or ignore them with a tap. You can choose to have Grammarly show you definitions and synonyms, provide you with word choice suggestions, and add words to your dictionary. The Grammarly website also lets you upload documents to be checked for errors automatically. Signing up for a Grammarly account is free and provides you with 100 points of grammar, usage on most any website such as Gmail, LinkedIn, Tumblr, and other social media networks. If you want to use Grammarly for even more, you can get Grammarly Premium which entitles you to plagiarism detection, style checks, over 250 points of grammar, and other helpful features. There are monthly, quarterly, and yearly plans available starting at $11.66 per month for the annual plan. 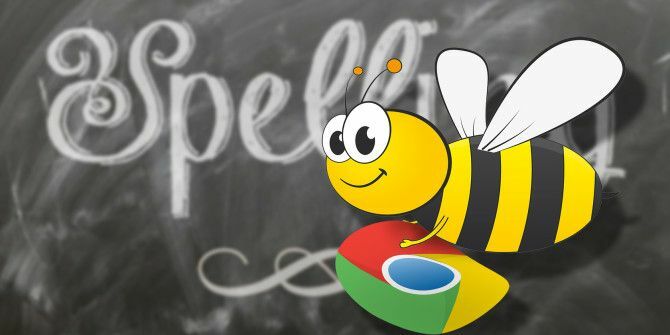 Spell Bee is a terrific extension for corrections as you type Best Ways To Spell-Check As You Go In Chrome Best Ways To Spell-Check As You Go In Chrome Proper spelling is more than a courtesy; it's also a sign of intelligence and good education. These days, you don't actually need to know how to spell to make a good impression. Read More . Whether you are typing an email, creating a Twitter post, or updating your status on Facebook, the extension has you covered. It will auto-correct spelling mistakes as you type. There are over 4,500 configured, common mistakes in the tool and you can add your own or delete others. In addition to misspellings, Spell Bee can take your shorthand and convert it for you as well. For example, the extension has built-in replacements to change “2day” to “today” and “brb” to “be right back”. This is a great time-saving option. Other settings for Spell Bee let you select specific websites it should not check as well as those it should only check. This is useful for when you want to keep the shorthand for posts on Twitter to shorten your post length, but want to keep it everywhere else. It appears that Spell Bee currently only supports English. Using After the Deadline After The Deadline - Check Your Grammar & Polish Your Writing After The Deadline - Check Your Grammar & Polish Your Writing The World Wide Web is a world of writing. Most web content is still written text and because statistics say that English is the most used language online, you definitely need good English skills to... Read More to proofread your text is simple. When you are typing into a text box, the extension will display an ABC checkmark icon in the corner of the box. When you are finished typing your text, tap the icon and errors will be underlined. Click on the underlined words and then select the desired action from the list, such as correcting the spelling or the changing a letter to uppercase. You may also choose the Explain option in the drop-down box if you are unsure of what the error means. A pop-up will then display with a short explanation and examples. You can ignore the suggestion once or choose to ignore it always. When you have finished with your corrections, just tap the icon again to deactivate it. After the Deadline has configurable options for ignored phrases or websites. You can also select individual proofreading settings such as redundant phrases, hidden verbs, jargon, and even clichés. The extension supports English, French, German, Portuguese, and Spanish with an option to detect the language when proofreading. LanguageTool is a convenient extension that displays spelling and grammar errors in a nice pop-up window. It runs your text remotely through LanguageTool.org. You will see any issues with capitalization and spelling, with the words highlighted along with an explanation beneath each mistake found. You can then click on the highlighted words and the extension will fix them for you, which is a great feature. In addition, the LanguageTool website offers a text checker where you can paste or type in your text to detect errors. This tool has drop-down for language selection and can be toggled for a full-screen view. If you really enjoy this extension, you can also check out their standalone desktop application. LanguageTool supports 25 languages including English, Spanish, French, German, and Polish. If you are interested in an app for Chrome that allows you to use a separate window, then Fresh Spell Checker is one to check out. You just paste or type in your text, click the Go! Spell Check button or your F2 key and your corrected text is displayed for you. From there you can copy and paste it where you need it. Fresh Spell Checker has some other useful options. Click the Copy Text button to grab the corrected text or hit the Open Edit Window button to view and change the text one word at a time. By selecting the Options button, you can configure shortcuts and your user dictionary. You can also change the colors for the corrected and changed word. This Chrome app is useful for correcting large amounts of text at once. If you are typing a lengthy email 5 Tools That Can Help You Write Better Emails 5 Tools That Can Help You Write Better Emails Everyone is still trying to solve the email problem. So, let's also talk about the most basic habit of all – the art of writing better emails. With the help of some cool tools. Read More or letter, writing a blog article, or even a long social media post, this is a handy tool. Fresh Spell Checker supports Danish, English, Finnish, French, German, Italian, Polish, Portuguese, Russian, Spanish, and Swedish. What Spelling Tools Do You Trust Most? 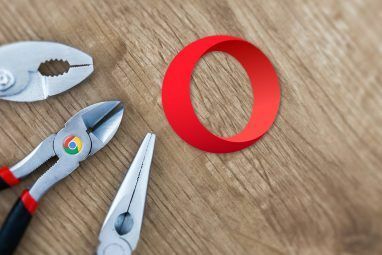 Do you use one of these Chrome tools and swear by it? Or, do you have a better extension Get Improved Spelling & Grammar Corrections With Ginger [Chrome & Firefox] Get Improved Spelling & Grammar Corrections With Ginger [Chrome & Firefox] Whether you like to admit it or not, we all make heavy use of our computer's spell checker. They save us from all sorts of typos and downright horrible spelling. Thankfully, more powerful software such... Read More that you cannot live without? Feel free to share your suggestions in the comments below! 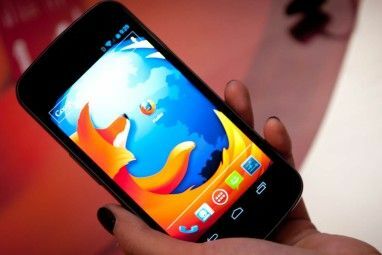 Explore more about: Browser Extensions, Google Chrome, Spell Checker.